Corruption in Russia is perceived to be a significant problem, impacting all aspects of administration, law enforcement, healthcare and education. The phenomenon of corruption is strongly established in the historical model of public governance in Russia and attributed to general weakness of rule of law in Russia. According to the Corruption Perceptions Index reported by Transparency International, from 1996 to 2018 Russia's transparency ranking averaged 111.35—or 111th least corrupt country out of 175 countries worldwide. Its most corrupt ranking was 154 in 2010 and its least was 47 in 1996. In 2017 it ranked in 135th place. According to Richard Palmer, CIA station chief in the United States embassy in Moscow in the early 1990s, the dissolution of the Soviet Union and the rise of Russia coincided with the illegal dispersal of the equivalent of billions of dollars from the Soviet state treasury into private accounts across Europe and the U.S. This was done by elites from "every corner" of the Soviet system using knowledge of the Western banking developed by the KGB during the Cold War. Palmer described it as if in the United States, "the majority of the members at Congress as well as by the Departments of Justice and Treasury, and agents of the FBI, CIA, DIA, IRS, Marshal Service, Border Patrol; state and local police officers; the Federal Reserve Bank; Supreme Court justices” were engaging in "massive corruption". In 2004, at the beginning of Vladimir Putin's second term as president, Russia dropped from 90th place to 126th in the Corruption Perceptions Index—a drop of 36 places in only one year. Another measure of corruption—an estimate of the average size of bribes—also worsened from 2008 to 2011. According to the Russian Interior Ministry's Department for Combating Economic Crimes, the average bribe amounted to 9,000 Rubles in 2008; 23,000 Rubles in 2009; 61,000 rubles in 2010; and 236,000 rubles in 2011—making the average bribe in 2011 26 times greater than the average bribe in 2008, many times the inflation rate for the same period. According to Sergei Ivanov, the Kremlin chief of staff, the most corrupt spheres in Russia (in terms of household corruption) are healthcare, education, housing and communal services. In comparison, independent experts from RBC magazine name law-enforcement agencies (including the State Traffic Safety Inspectorate) as the most corrupt sphere in Russia, which is followed by healthcare, education, housing and communal services, and social security services. At the government level, however, the five top areas for corruption are as follows: Government contracts and purchases; Issuance of permits and certificates; Law-enforcement agencies; Land distribution and land relations; Construction. Estimates of the cost of corruption in Russia vary. According to official government statistics from Rosstat, the "shadow economy" occupied only 15% of Russia's GDP in 2011, and this included unreported salaries (to avoid taxes and social payments) and other types of tax evasion. According to Rosstat's estimates, corruption in 2011 amounted to only 3.5 to 7% of GDP. In comparison, some independent experts maintain that corruption consumes as much of 25% of Russia's GDP. A World Bank report puts this figure at 48%. There is also an interesting shift in the main focus of bribery: whereas previously officials took bribes to shut their eyes to legal infractions, they now take them simply to perform their duties. Many experts admit that in recent years corruption in Russia has become a business. In the 1990s, businessmen had to pay different criminal groups to provide a "krysha" (literally, a "roof", i.e., protection). Nowadays, this "protective" function is performed by officials. Corrupt hierarchies characterize different sectors of the economy, including education. In the end, the Russian population pays for this corruption. For example, some experts believe that the rapid increases in tariffs for housing, water, gas and electricity, which significantly outpace the rate of inflation, are a direct result of high volumes of corruption at the highest levels. In the recent years the reaction to corruption has changed: starting from Putin's second term, very few corruption cases have been the subject of outrage. Putin's system is remarkable for its ubiquitous and open merging of the civil service and business, as well as its use of relatives, friends, and acquaintances to benefit from budgetary expenditures and take over state property. Corporate, property, and land raiding is commonplace. An anticorruption campaign in modern Russia began on April 4, 1992, when President Boris Yeltsin issued a decree entitled "The fight against corruption in the public service". This document prohibited officials from engaging in business activities. Moreover, state employees were required to provide information about their income, personal property and real estate holdings, bank deposits and securities, as well as financial liabilities. The implementation of the decree, which formed the basis of the laws on combating corruption and on civil service, was vested in the presidential control directorate. Russia passed the first package of anti-corruption laws in 2008 in response to its ratification of the UN's Convention against Corruption and the Council of Europe's "Criminal Law Convention on Corruption". The decree "On Anti-Corruption Measures" was signed by former President and current Prime Minister Medvedev in May of that year. Since then, numerous changes have been implemented to the Russia’s anti-corruption legislation with the purpose of combating bribery and improving its business climate. The Russian anti-corruption campaign is an ongoing effort by the Russian government to curb corruption, which has been recognized as one of Russia's most serious problems. Central documents in the campaign include the National Anti-Corruption Plan, introduced by Medvedev in 2009, and the National Anti-Corruption Strategy, introduced in 2010. The central organ in the campaign is the Anti-Corruption Council, established in 2008. Medvedev has made fighting corruption one of the top agendas of his presidency. In the first meeting of the Council on 30 September 2008, Medvedev said: "I will repeat one simple, but very painful thing. Corruption in our country has become rampant. It has become commonplace and characterises the life of the Russian society." In 2012, the government adopted a new law requiring public servants and employees of state organisations to disclose their source of funds and both their and their families’ acquisitions of property, including real estate, securities, stock and vehicles. The legislation has also, for the first time, defined conflict of interest in connection to public officials and extended anti-corruption legislation to the military. The last modification to the Federal Anti-Corruption Law No. 273 was made in December 2012 and it was implemented on January 1, 2013. By upgrading the Anti-Corruption Law with Article 13.3, Russia has made a significant step towards strengthening the framework of its anti-corruption legislation, aligning it with the best practices recognized on the international level, such as the UK Bribery Act and the U.S. Foreign Corrupt Practices Act. This articles 13.3 of the Anti-corruption Law requires organizations to develop and implement anti-corruption measures such as (i) appointing a specific department or an official to be responsible for preventing corruption and related offences; (ii) cooperating with enforcement authorities; (iii) developing and implementing standards and procedures for ethical business practices; (iv) establishing an ethical code of conduct for personnel; (v) preventing and resolving conflicts of interest; and (vi) preventing the filing of false or off-the-record reports and the use of forged documents. Russia also joined the OECD Anti-Bribery Convention in 2012 and has the G20 Presidency in 2013, where fighting corruption is one of three main issues on the agenda. Companies should therefore actively ensure that they stay compliant with the new amendment to the Anti-Corruption Law. Corruption has an obvious connection with money laundering as the stolen assets of a corrupt public official are useless unless they are placed, layered and integrated into the global financial network in a manner that does not raise suspicion. The proceeds of corruption may be laundered in jurisdictions which have not enacted strict anti-money laundering measures and in countries which uphold very strict bank-secretary laws or regulations. This is the reason why the "de-offshorization" policy endorsed by President Putin in 2012 and 2013 (after the Cyprus Affaire) is often considered to be a new anti-corruption measure. The government's recent initiatives for gradually strengthening control over financial operations of organisations and citizens have been the subject of The Russian Federal Financial Monitoring Service ("Rosfinmonitoring"). A law has been drafted, which introduced amendments to a number of legal acts and aimed at increasing the transparency of currency transactions and at strengthening anti-money laundering measures in Russia. 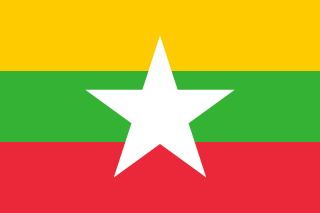 This respective law, with corresponding amendments, was passed on 30 June 2013. The law introduces changes to a variety of legislative acts and ensures the overall enhancement of control over businesses and citizens with respect to financial operations. The most important amendments for businesses are those that modify the regulation of banking activity. The amendments considerably affect credit organizations which would most likely be required to amend their internal anti money laundering policies and procedures for identification of customers. On one hand, they allow the bankers to demand disclosure of the transaction purpose from the client. On the other hand, this might raise substantial risks in terms of optimizing business, including potential delay in completing payments. Russian President Vladimir Putin approved a new national anti-corruption plan for the period from 2014 to 2015. The president ordered executive and legislative authorities by July 1, 2014 to make relevant amendments to their anti-corruption plans and to ensure control over their execution. A relevant order was included in the National Plan to Counter Corruption for 2014–2015. The governor of the Komi republic was arrested for stealing money from state funds. Anti-Corruption Foundation is a nonprofit organization based in Moscow established in 2011 by activist and politician Alexey Navalny. Its main goal is to investigate and to expose corruption cases among high-ranking Russian government officials, which they have been successfully doing for the last few years. Transparency International Russia's report from 2012 shows a variety of activities that give citizens a chance to monitor corruption. It collaborated with the Youth Human Rights movement on a large-scale campaign in 20 cities to check police officers' identification tags. This is a proactive exercise to stop petty corruption. If an officer can be identified, he or she is less likely to ask for a bribe. Transparency International Russia also monitors the income statements of Russian public officials with the help of students and publishes the results and monitored the use of 600 million rubles (US$19 million) of public funds to socially oriented NGOs, and found several cases of conflict of interests. It provided analysis and recommendations on making this process more transparent and accountable. the NGO works cooperatively with all individuals and groups, with for-profit and not-for-profit corporations and organisations, and with bodies committed to the fight against corruption. It undertakes professional analysis and papers on corruption-related issues trying to explain the reasons of the spread of corruption, its political and social implications and trying to analyse the possible scenarios for the future. On 9 December 2014 Novosti agency reported that the head of the National Anti-Corruption Committee Kirill Kabanov admitted on air that a third of Russian officials were corrupt. As of 2015, Russian officials are periodically accused of spending on luxury cars, mansions or clothes worth significantly more than their declared income. A 2018 study of state corruption in Russia during the 1750s–1830s found that "as far as we could tell on the basis of our sample of records, the volume of resources extracted from the population through ‘routine’ corruption appears to have been surprisingly low." The authors write, "every little interaction with state officials involved paying a fee to the clerks, and such fees, although technically illegal, were so common and commonly accepted as to be entered in the account books alongside other operational expenses. On the other hand, these ‘routine’ payments were really quite small, especially if apportioned on a per capita basis among the entire commune ... Such fees appear to have been largely customary in nature, a part of the traditional economy of gift-giving, demonstrating respect, and maintaining informal relationships (‘good disposition’). Yet, even such a low level of per capita extraction would have allowed key district officials to amass significant amounts, at a very minimum tripling their salaries." The Russian Prosecutor General Office reported that of the persons convicted for corruption in 2017, the number of law enforcement functionaries and parliamentaries (nearly 2,200 persons) constituted over 11%. ^ "Corruption Perceptions Index 2017". Transparency International. Retrieved 2018-03-28. ^ a b Suhara, Manabu. "Corruption in Russia: A Historical Perspective" (PDF). Archived from the original (PDF) on 2016-03-04. Retrieved 2015-12-04. ^ "Russia lost 4 billion dollars on unfavorable state procurement contracts in the last year". Meduza. Retrieved 2015-12-07. ^ "Cops for hire". The Economist. 2010. Retrieved 2015-12-04. ^ Klara Sabirianova Peter; Tetyana Zelenska (2010). "Corruption in Russian Health Care: The Determinants and Incidence of Bribery" (PDF). Retrieved 2015-12-04. ^ Elena Denisova-Schmidt; Elvira Leontyeva; Yaroslav Prytula (2014). "Corruption at Universities is a Common Disease for Russia and Ukraine". Harvard University. Retrieved 2015-12-04. ^ [blacklisted, search on google "Russia Corruption Rank"] Check |url= value (help). Trading Economics. Retrieved 11 February 2019. ^ "Corruption Perceptions Index 2017". Transparency International. Retrieved 2018-05-01. ^ FOER, FRANKLIN. "Russian-Style Kleptocracy Is Infiltrating America". The Atlantic (March 2019). Retrieved 11 February 2019. ^ Palmer, Richard (21 September 1999). "STATEMENT OF RICHARD L. PALMER, PRESIDENT OF CACHET INTERNATIONAL, INC. ON THE INFILTRATION OF THE WESTERN FINANCIAL SYSTEM BY ELEMENTS OF RUSSIAN ORGANIZED CRIME BEFORE THE HOUSE COMMITTEE ON BANKING AND FINANCIAL SERVICES ON SEPTEMBER 21, 1999". financialservices.house.gov. Retrieved 11 February 2019. ^ Kalinina, Alexandra. "Corruption in Russia as a Business". IMR INSTITUTE OF MODERN RUSSIA. Retrieved 11 February 2019. ^ Kalinina, Alexandra (2013-01-29). "Коррупция в России как бизнес". Институт современной России (in Russian). Retrieved 2018-01-09. ^ Osipian, Ararat. (2012). "Loyalty as Rent: Corruption and Politicization of Russian Universities." International Journal of Sociology and Social Policy, 32(3/4), pp. 153-167. ^ Автор статьи: Максим Легуенко, Екатерина Трофимова (2014-06-17). "Взятки в России: кто, где, сколько и можно ли с этим бороться? :: Деловой журнал :: РБК daily". Magazine.rbc.ru. Retrieved 2014-07-14. ^ Osipian, Ararat. (2012). "Education Corruption, Reform, and Growth: Case of Post-Soviet Russia." Journal of Eurasian Studies, 3(1), pp. 20–29. ^ "Доля теневой экономики в РФ снизилась почти до 15%, таблицы "затраты-выпуск"... - Пресс-центр - Интерфакс". Interfax.ru. Archived from the original on 2012-06-16. Retrieved 2014-07-14. ^ "Коррупция в России как система "распилки" ВВП - новость из рубрики Общество, актуальная информация, обсуждение новости, дискуссии на Newsland". Newsland.ru. Retrieved 2014-07-14. ^ "Средний размер взятки в России в 2010 году вырос с 27 до 47 тысяч руб". РИА Новости (RIA Novosti). February 2011. Retrieved 2014-07-14. ^ Osipian, Ararat. (2010). "Corrupt Organizational Hierarchies in the Former Soviet Bloc." Transition Studies Review, 17(4), pp. 822–836. ^ Osipian, Ararat. (2009). "Corruption Hierarchies in Higher Education in the Former Soviet Bloc." International Journal of Educational Development, 29(3), pp. 321–330. ^ Osipian, Ararat. (2012). "Who is Guilty and What to Do? Popular Opinion and Public Discourse of Corruption in Russian Higher Education." Canadian and International Education Journal, 41(1), pp. 81–95. ^ Milov et al., Op,cit., 2011, p. 6. ^ Osipian, Ararat. (2012). "Predatory Raiding in Russia: Institutions and Property Rights after the Crisis." Journal of Economic Issues, 46(2), pp. 469–479. ^ Bershidsky, Leonid (September 22, 2015). "Oil crash results in Moscow warning to Russia's comfortably corrupt". Bloomberg News via National Post. ^ "Каждый третий чиновник в России берёт взятки, заявили в НАК", life.ru, 9 декабря 2014. ^ "New Investigation Exposes Glam Life Of Vladimir Putin's Bling Ring". Retrieved 2015-09-09. ^ "Corruption Fatigue | Opinion". Retrieved 2015-09-09. ^ "Russia's Prisoner Dilemma | Russia! Magazine". Retrieved 2015-12-04. ^ "Corruption in Russia as a Business". Institute of Modern Russia. 2013-01-29. Retrieved 2015-12-04. ^ "Russia's mafia state | Alexey Navalny's group publishes startling revelations linking the Attorney General's son to the mob". Meduza. Retrieved 2015-12-04. ^ a b Korchmina, Elena; Fedyukin, Igor (2019). "Extralegal payments to state officials in Russia, 1750s–1830s: assessing the burden of corruption". The Economic History Review. 72: 156–181. doi:10.1111/ehr.12666. ISSN 1468-0289. 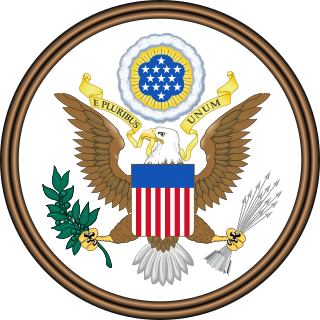 The Foreign Corrupt Practices Act of 1977 (FCPA) is a United States federal law known primarily for two of its main provisions: one that addresses accounting transparency requirements under the Securities Exchange Act of 1934 and another concerning bribery of foreign officials. The Act was amended in 1988 and in 1998, and has been subject to continued congressional concerns, namely whether its enforcement discourages U.S. companies from investing abroad. Putin. Corruption. is an independent report on alleged corruption in Vladimir Putin’s inner circle published by the leaders of opposition liberal democratic People's Freedom Party in Russia. The report was presented by them at the press conference on 28 March 2011. This is the first large-scale project of the People’s Freedom Party. Corruption is widespread in Ukrainian society. Transparency International's 2017 Corruption Perception Index ranks the country 130th place out of 180 countries. Corruption in Italy is a major problem. In Transparency International's annual surveys, Italy has consistently been regarded as one of the most corrupt countries in the Eurozone. Transparency International's 2017 Corruption Perception Index ranks the country 54th place out of 180 countries. Corruption costs Italy a reported €60 billion a year, which amount to four percent of its GDP. On the 2016 Corruption Perceptions Index, Italy took 61st place out of 174 countries, scoring on a par with Senegal, Montenegro, and South Africa. Political corruption remains a major problem particularly in Southern Italy including Calabria, parts of Campania and Sicily where corruption perception is at a high level. Political parties are ranked the most corrupt institution in Italy, closely followed by public officials and Parliament, according to Transparency International's Global Corruption Barometer 2013. Corruption in Bangladesh has been a continuing problem. 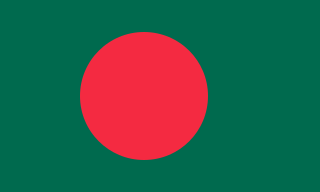 According to all major ranking institutions, Bangladesh routinely finds itself among the most corrupt countries in the world. 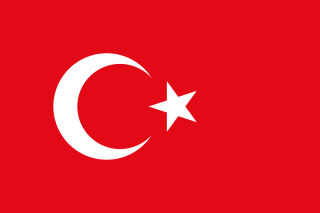 Corruption in Turkey is an issue affecting the accession of Turkey to the European Union. Transparency International's 2016 Corruption Perception Index ranks the country 75th place out of 176 countries, while the 2017 index saw Turkey fall back to 87th place. Alexey Valentinovich Ulyukaev is a Russian politician, scientist, and economist. Between 24 June 2013 and 15 November 2016, he held the office of Minister of Economic Development of the Russian Federation in Dmitry Medvedev's Cabinet. From 2004 to 2013, he held the post of Deputy Chairman of the Central Bank of Russia. He holds a Doctorate of Economic Sciences. He is currently serving an eight-year prison term in a penal colony on the outskirts of Tver. Austria has a well-developed institutional and legal system, and most corruption cases under investigation by a parliamentary committee end with judicial trials and effective judgments. However, there are several significant Austrian corruption cases which have taken place during the past decade involving land and regional officials, high-level public officials, the central government and, in one instance, the former Chancellor. 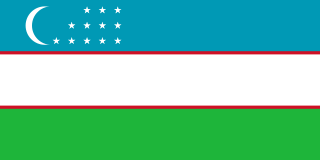 Corruption in Uzbekistan is a serious problem. There are laws in place to prevent corruption, but the enforcement is very weak. Low prosecution rates of corrupt officials is another contributing factor to the rampant corruption in Uzbekistan. It is not a criminal offense for a non-public official to influence the discretion of a public official. The judicial system faces severe functional deficits due to limited resources and corruption. 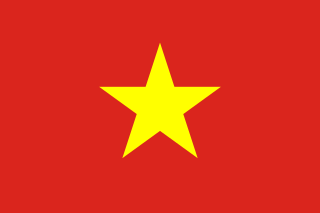 Overall, Vietnam is characterised by corruption, a weak legal infrastructure, financial unpredictability and conflicting and negative bureaucratic decision-making. Surveys reveal that petty corruption has decreased significantly throughout the country, while high-level corruption has increased. Corruption is considered an obstacle for doing business in Vietnam, and the use of facilitation payments are widespread when dealing with frontline civil servants. Corruption has moved up the political agenda in Vietnam, and the legal framework for tackling corruption is now better developed. Corruption in Bolivia is a major problem that has been called an accepted part of life in the country. It can be found at all levels of Bolivian society. Citizens of the country perceive the judiciary, police and public administration generally as the country's most corrupt. Corruption is also widespread among officials who are supposed to control the illegal drug trade and among those working in and with extractive industries. 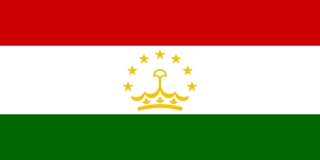 Corruption in Tajikistan is a widespread phenomenon that is found in all spheres of Tajik society. The situation is essentially similar to that in the other former Soviet republics of Central Asia. Reliable specifics about corruption can be difficult to come by, however, as can hard information about the effectiveness of supposed anti-corruption initiatives.